Directed by Ivan Hexter and produced by Bessie Byrne, “Tunnel Vision” highlights the power of civil disobedience to effect change when a government campaign to build an $18 billion dollar toll road in Melbourne is proposed that would forever alter the landscape and do little to reduce the problem of traffic congestion it was meant to solve. If the words of legendary singer-songwriter Patti Smith ring true that “people have the power” than “Tunnel Vision” is the perfect example of passion put to action, Aussie gusto in the face of adversity, and proof of what can happen when citizens come together against the agendas of giants, yell back and have their voices heard. “Tunnel Vision” makes its way to the Melbourne Documentary Film Festival on July 16th. 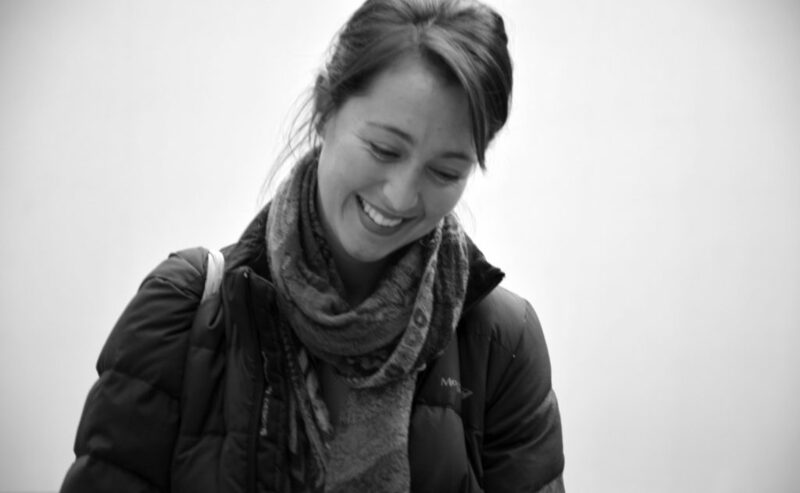 We recently had the privilege of interviewing the film’s producer Bessie Byrne about her experience working on the immersive and empowering doco, the films that have inspired her, and her advice to women interested in pursuing careers in film. 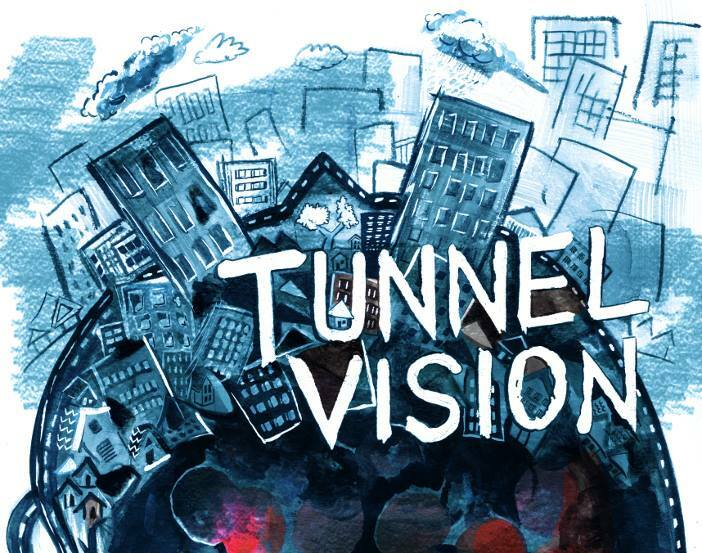 Documentary Drive: How has working on “Tunnel Vision” been different from your previous filmmaking experiences? Byrne: When I offered to help with “Tunnel Vision” in 2015, I had no idea what I was getting myself into. It wasn’t until I was emotionally connected to the project that I realised just how difficult it might be and by then it was too late to turn back. “Tunnel Vision” is the first feature documentary I have produced and the main hurdle has been the budget. Working with the director, Ivan Hexter, has been an absolute pleasure. There have been a few extremely late nights and technical issues to battle but mostly we managed to stay calm and optimistic about the process the whole time. Prior to this project, I was studying journalism and working on short films so it was exciting for me to be able to really focus on an issue and get to know the people the film is about. When you’re working with passionate people it’s hard not to feel a sense of responsibility. It’s not strictly journalistic to become immersed in the issue you’re making a film about, but I feel that the fact we empathized heavily with the campaigners really helped us tell their story. This is the first time I’ve made a film that I believe could make a difference to political outcomes and be a great educational tool. Documentary Drive: Can you describe a challenge you faced and overcame while producing the film? Byrne: Money. Money. Money. It was very naïve of me not to realise just how much it can cost to make a film. It’s one thing to make a film for your immediate community, but when you start to make a film that can be shared widely, the costs quickly add up. The biggest expense for us is archival footage. 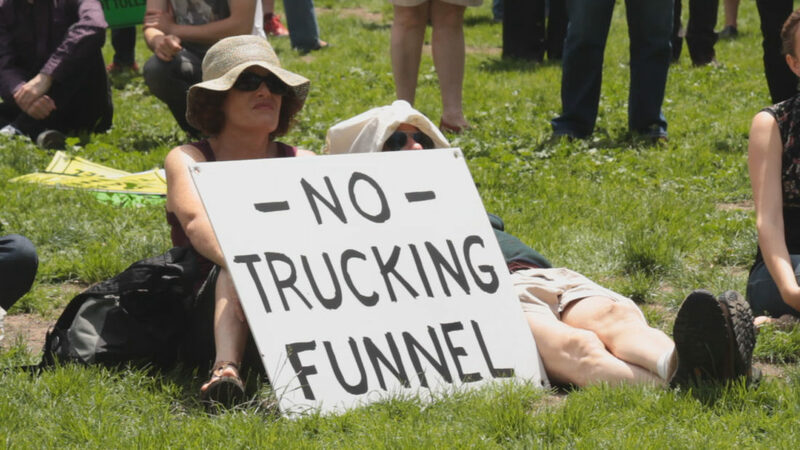 The varied media coverage was an important element of the campaign to stop the East West Link and it is a crucial part of “Tunnel Vision.” In order to distribute the film legally we need to pay ABC, Channel 7 and British Pathe a figure that equals around 20K. We have already paid for the rights to screen the documentary at festivals and are working on fundraising the rest through the Documentary Australia Foundation. There’s a good summary of the project and an option to donate on our fundraising page. Documentary Drive: Have you always held an interest in community activism and how did your perspective on the grassroots movement evolve during production? Byrne: I was born into a family of activists, so protests, blockades and campaigns have always been a part of my life. In my early 20s I was very politically active but when I began studying journalism I was advised to disconnect myself from any political groups or organisations that could lead me to have a bias. This was actually an interesting process for me, and it gave me time to question my values and opinions on society. During my Masters degree I began hosting a breakfast show on 3CR, Melbourne’s radical community radio station, and that was a good segway for me back into activism. I have a deep respect for people who dedicate their time and energy to the fight for equality and sustainability, or any social issue for that matter. It takes strength to stay passionate and keep fighting for a better world. The people I met and organizations I was able to work with while making “Tunnel Vision” were nearly all absolutely fantastic and have strengthened my resolve to keep documenting social and environmental issues. Are there any documentaries that have influenced you and the way you approach your own film projects? Byrne: A documentary is not just a video of life’s happenings. It’s a way to show a new perspective of an issue and allow an audience into a space they cannot normally access. I’m always interested in creative ways to make documentaries visually interesting and thematically engaging. Non-fiction doesn’t have to be, although it often is, lots of men talking. Music documentaries, for example “Amy,” show how important and how great a soundtrack can be. I often work in a capacity building sense, I organise events for other environmental filmmakers. I believe documentaries are a really powerful way of sharing the everyday truths and emotions that make us all human and can spark passion and help make social change. One film that and I can’t help mention is “An Inconvenient Truth.” A visually boring slideshow was turned into an incredibly powerful political moment in a time that probably generated more support for climate protection than any other moment. But coming from a journalistic background I also can’t help but mention Louis Theroux, John Pilger and Werner Herzog. Documentary Drive: What advice would you give to other young women or anyone else interested in becoming a film producer? Byrne: I don’t know much about the world of fiction but when it comes to documentary, people typically people say “just got for it” or “don’t bother,” and although they are clichés, I think you do have to be really passionate about the work you’re doing in order to work hard for it. There are many glass ceilings that women have not yet broken, so it is our responsibility to get recognition and remove the boundaries for future generations of ladies. The documentary space in Australia is gender progressive and a very exciting industry to work in but the global film industry, as a whole, is still appalling. Luckily there are an infinite amount of stories that need telling, more and more platforms to share them, and a growing audience for documentaries. But there’s usually no money in ethical escapades when you’re an emerging practitioner so don’t give up your day job and don’t be ashamed if you have one! “Tunnel Vision” screens July 16th at the Melbourne Documentary Film Festival. Tickets are available through Moshtix. Check out the Official “Tunnel Vision” Website and Facebook Page for more information on the film.